Keeping up with the trending wood cases that are popping out of every corner, Substrata has announced new wood cases for the iPad 2 including a Tabletop wood and leather case with an integrated 6 stand positions and a lid that controls the iPad 2's magnetic on/off feature. The Artisan (pictured above), can function as a portrait and landscape stand with its magnetic lid. Last but not least, the Open is allows constant access to the iPad 2's touch screen and has full access to all buttons, cameras and ports. Prices start from $85 and shipping begins in May. 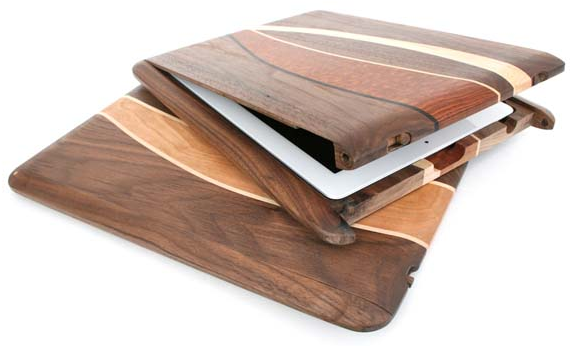 Hit up the link to view all of Substrata's beautiful wood iPad 2 cases.